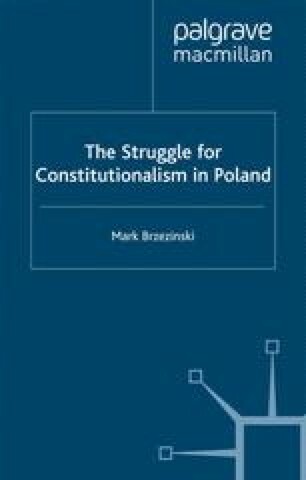 This chapter examines constitutional theory and practice in communist Poland. Part A briefly describes the institutionalization of a communist ‘people’s democracy’ in Poland after World War II. Part B examines the theoretical and practical underpinnings of the communist constitution promulgated in Poland in 1952. Part C discusses the constitutional reform of a liberal democratic nature which occurred in communist Poland following the ‘Solidarity period’ of 1980.